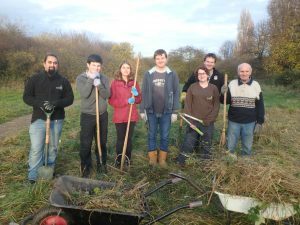 Join our seasonal conservation task day to help us further improve St Nicks Nature Reserve as a green haven for wildlife and people. Tasks will be specified closer to the date of each monthly session (second Saturday of the month). Be part of this exciting improvement process by volunteering your time and energy on the day or by joining our regular volunteers. Tools and gloves will be provided. Who is the event suitable for? Anyone who’d like to have a go at volunteering, meeting new people and enjoying the outdoors while doing something useful as part of One Planet Living. Families and younger people are welcome – there will be a range of tasks for all ages. Please note that under 18s need parental consent and under 13s must be accompanied by a parent or guardian.